Welcome to Bay Colony, an elite resort and golf community that has become one of the most sought after upscale neighborhoods not only in Naples, Florida, but within all of Southwest Florida. Bay Colony is situated within Pelican Bay…a private, gated, beachfront community surrounded by estuary-lined mangrove forests, the Cocohatchee Strand Nature Preserve and conveniently located along the breathtaking well-maintained white beaches and shimmering crystal-blue waters of The Gulf of Mexico. 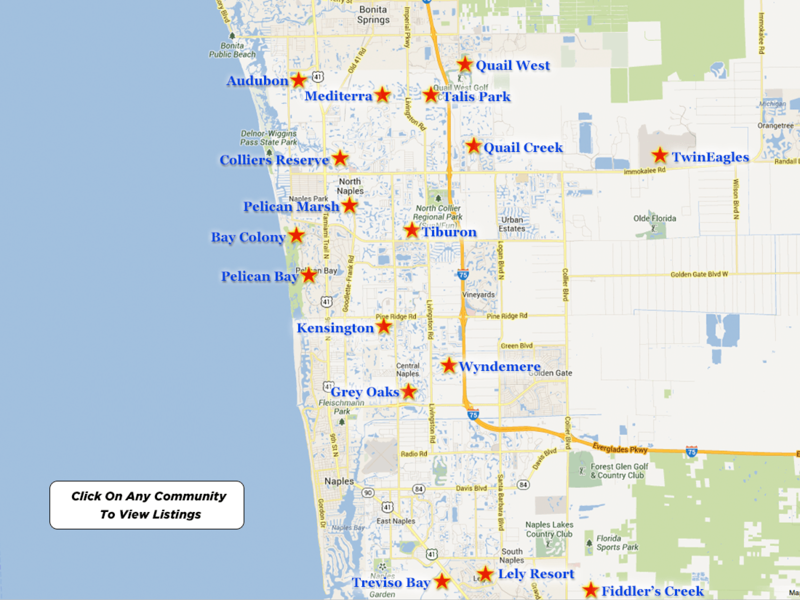 The outstanding community of Bay Colony offers access to five-star luxury hotels, superior hospitals, medical facilities, schools, upscale shopping and gourmet dining at The Village on Venetian Bay, The Waterside Shops, Mercato, The Coastland Mall, the fashion forward boutique shops and eclectic fine restaurants of Fifth Avenue South and Third Street South, The Naples Philharmonic at Artis-Naples and The Baker Museum, The Naples Zoo and The Naples Botanical Gardens. 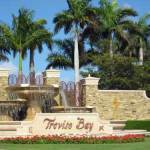 The community of Bay Colony offers a prestigious lifestyle of luxury, golf and more. Within the exclusive community of Bay Colony, there are eleven prestigious waterfront condominium properties that open their doors with direct access to the breathtaking beaches and exceptional water views of the Gulf of Mexico…The Biltmore, Brighton, The Carlysle, Contessa, Mansion La Palma, The Marquesa, The Remington, Salerno, Toscana, Trieste and The Windsor. 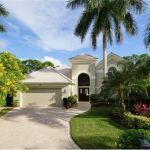 Additionally, five spectacular residential neighborhood enclaves are situated in Bay Colony…Bay Colony Shores, The Strand, Villa La Palma, Vizcaya and The Estates at Bay Colony. Let us take a moment to focus our attention upon each of these five magnificent residential neighborhoods. 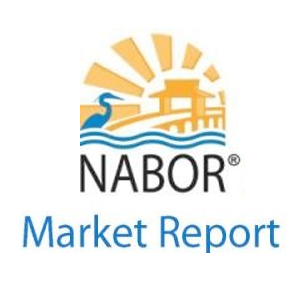 Bay Colony Shores offers seventy-five home sites ranging in size from 1/3 acre to 1/2 acre…designed with entry via a private Mediterranean style bridge leading to elegant estate-homes along shimmering crystal-blue fresh water lakes. The streets are uniquely all brick-paved and accentuated with quaint streetlights. Majestic royal palms hover gracefully above the well-maintained landscaping around the exterior of each home and throughout the entire Bay Colony Shores neighborhood. The Strand at Bay Colony offers a superb secluded and gated neighborhood of multi-million dollar homes with the Gulf of Mexico at their front doors. Adhering to a common architectural theme, each home is custom designed to meet not only the desires of the families who choose this lifestyle but also the strict government regulations and standards for beachfront residences. Villa La Palma at Bay Colony offers a lovely neighborhood, consisting of only twenty-two villa style homes. There are three models to choose from with one and two story floor plans, ranging from 3,600 square feet to over 4,600 square feet. Every villa has an exclusive view of a stunning and breathtaking water feature that gracefully flows behind each residence. Vizcaya at Bay Colony is a village of picturesque lakefront homes bordered by enchanting cobblestone walkways and quaint European style street lights. A romantic appeal is reflected in authentic architectural details such as cobblestone entry gardens with fountains or reflecting pools, decorative wrought metal accents, and rustic stucco finishes in subdued Mediterranean hues. The Estates at Bay Colony is an exclusive estate enclave…gated and designed for those who prefer a secluded, secure environment with unrivaled access to a wealth of world class amenities. The home sites range in size beginning at 2/3 acre and increasing in size to a full acre sized lot. The minimum square footage for construction is 4,000 square feet of living space, although most of the homes far exceed the minimum square footage. There are seventy-five glorious large custom single-family estates woven throughout 280 acres of natural preserve, through which meanders a fabulous, stunningly natural championship golf course…The Estates at Bay Colony Golf Course. 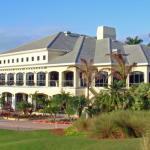 The Estates at Bay Colony Golf Course is an 18-hole par 72 championship course, located at the Bay Colony Golf Club facility in Naples, Florida. A 300-member limit for the course insures the no tee time schedule that the club has embraced since its inception. This phenomenal golf course spans 7,079 yards from the longest tees and the course rating is 75.9 with a slope rating of 148 on Bermuda grass. Designed by the renowned golf course architect, Robert von Hagge, the Estates at Bay Colony Bay Colony Golf Course opened in 1995. This stunning golf course features broad and rolling lush fairways, breathtaking tropical landscaping amongst towering oaks, pines and royal palm trees, fresh water lakes, water features and pristine greens. Whether you are a novice or a professional, the course challenges every skill level, and at the same time delivers a memorable golfing experience that will have you returning to play…again, and again! Although Bay Colony Golf Club has an extraordinary golf course, golf is only one of the numerous amenities available to residents. Bay Colony homeowners also enjoy membership in The Bay Colony Beach Club, The Bay Colony Tennis Club and at The Pelican Isle Yacht Club. The community of Bay Colony is definitely not a golf course community in the traditional sense. No other community provides its residents with such easy access to the best of Naples while providing such a secure, tranquil setting of stunning natural beauty. With a beautiful 34,500 square foot southern plantation style clubhouse, an award Executive chef offers casual to gourmet dining and entertainment within a plethora of venues…the formal Dining Room, The Grille Room, Al Fresco Terrace overlooking the 18th green, The Sunny Patio Cafe, a private Board Room and a Men’s Grille. The residents of Bay Colony enjoy swimming, lounging, and dining in the seclusion of their own private Beach Club with access to a stunning resort pool and two miles of pristine sandy white Gulf of Mexico beachfront. Tennis enthusiasts can play a match with friends on lighted Har-Tru courts or improve their game with a lesson from the USTA certified tennis pros at the Tennis Club. Additionally, there are various social and recreational club activities and events that will keep you busy 24/7. As a resident of Bay Colony, every individual enjoys automatic membership in Pelican Bay’s Home Owner’s Association which offers sporting activities, transportation, a Community Center, a Fitness Center and so much more. Bay Colony Golf Club is proud of its diverse membership and strives to provide various options to suit every individual’s needs, thereby offering a variety of memberships. There is truly something for everyone at Bay Colony Golf Club…from casual to gourmet dining with an award winning Executive Chef, spectacular tennis, award winning championship golf, an array of social activities and unique private events. Please note that all prices and fees are subject to change. For additional detailed information regarding the club memberships, please feel free to contact Lisa Spiller, the Director of Marketing and Membership Sales at 239-449-4564. The Equity Golf Membership offers a 25% equity golf membership to residents and non-residents. This membership includes spouses and all family members under the age of 23 years that are living at home. The Equity Golf Membership has a limit of 300 members at this time. The Intermediate Membership offers an equity golf membership for those individuals under the age of 50 years. The Intermediate Golf Membership enables a member to have the benefits of an equity membership with the advantage of an incremental payment plan over a period of five years. The Intermediate Golf Membership is limited to only 20 members at this time. The Social Membership offers unlimited use of all the dining, pool, fitness and social facilities of the club…and, unlimited off season golf from May 1-Oct. 31. The Social Membership is limited to only 45 members at this time. Bay Colony real estate for sale is on the ascent again and all the more reason for the sophisticated, well-informed buyer to explore his and her options with a seasoned real estate professional who understands the luxury real estate market and the distinguished individual in search of that exceptional residence. Make the choice to call Bay Colony your new home, offering a prestigious lifestyle of luxury, golf and more.